The Rosie Project by Graeme Simsion- I enjoyed this book. It was an easy read that flowed well and kept me entertained. It's about a man who has Aspergers but doesn't know it, and he comes up with this really long, intense questionnaire he asks girls to fill out in order to find the perfect partner because he doesn't like dating and wants to avoid the small talk by already learning about them before meeting them. As in the title, he meets a girl named Rosie, who is nothing like what he thought he wanted, and helps her find DNA samples from men to determine who her father is. I won't spoil the ending, but you can guess if they end up together. :) I would recommend. 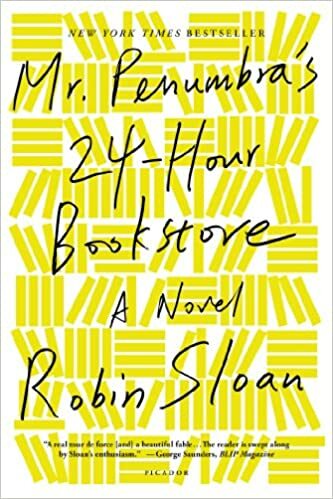 Mr. Penumbra's 24 Hour Book Store by Robin Sloan- I had heard several people talk about this book, so I was excited to read it. I'm not sure what I was hoping for, but it was not what I thought it would be at all. It wasn't bad, but it wasn't my favorite. It's just really weird- there were a couple times where I thought about quitting it, but then I would get too intrigued and have to keep going. It's difficult to even describe the plot- it's about a guy named Clay who ends up working in this bookstore, but he starts noticing weird things. There are hardly any customers, but the ones they do have are repeats and he starts tracking that they are checking out obscure books and trying to break some sort of code, which leads him into this whole spiral into trying to figure out what's going on. It was definitely interesting! Beautiful Ruins by Jess Walter- This book felt a little long to me, but good enough to keep going. It was good, but not great. It follows several different characters over about 50 years and goes back and forth through time, so each chapter is about a different person at a different moment in time. It sounds confusing, but it really wasn't too hard to follow. It's basically about a man names Pasquale Tursi who has this woman come stay at his inn, and he loves her, but they are separated due to different circumstances and it's about how all these character's stories are intertwined. 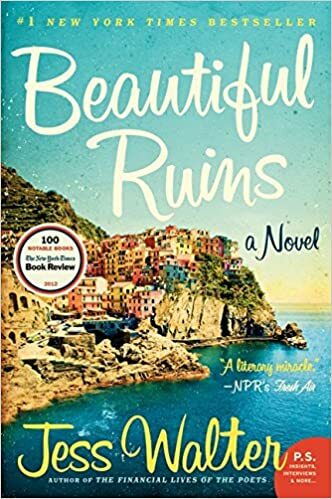 I saw this sentence on a book review site and thought it was captivating: Beautiful Ruins is a novel that highlights the apparent insignificance of a single life while exploring the many ways in which one person can unwittingly impact the lives of many others.